HAYWARD, Calif. – A huge wage-theft case against a San Francisco Bay Area contractor almost reached the finish line May 26. One last chapter must still be written. 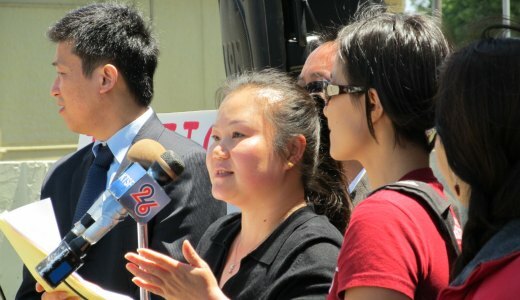 Union and community leaders and activists gathered outside the Alameda County Superior Court here for a rally before NBC Contractors owner Monica Ung was scheduled to appear for sentencing in the case. Ung had been arrested exactly two years ago, and indicted on 48 felony counts of wage theft, perjury and insurance fraud. 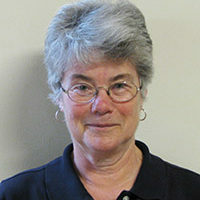 In a settlement, she was convicted of two felony counts, received a suspended four-year prison sentence and was ordered to pay $1.2 million in restitution to hundreds of workers and to the State of California. But in the end, the judge put off sentencing until next month, to ensure compensation is handled properly. 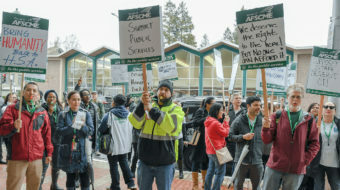 NBC Contractors, now bankrupt, was employed on many publicly funded Bay Area projects including city halls, schools, libraries and other public buildings. Workers, many of them Chinese immigrants who spoke limited English, told investigators they had to sign two time cards – one showing the actual hours they had worked, and the other falsely reporting they had worked fewer hours for the higher “prevailing wage” required by publicly-funded projects. “It’s almost three years that we’ve been fighting to win justice for the NBC workers,” Victor Uno, business manager of International Brotherhood of Electrical Workers Local 595, told the crowd. The IBEW has been at the forefront of the struggle, together with the Alameda Labor and Building Trades Councils, the Asian Pacific American Labor Alliance, and the National Electrical Contractors Association, which employs union labor. State Board of Equalization member Betty Yee called the case “probably the most blatant example” of a “$6 billion underground economy problem” in the state. The construction industry accounts for a big portion of that, she said. The roots of the case go back nearly a decade, Alameda County Building Trades Council head Andreas Cluver said. “Unfortunately, Monica Ung and NBC Contractors are not the exception,” he added. The court proceedings “will be a wake-up call,” letting other unscrupulous contractors know they cannot get away with it. Speakers warmly paid tribute to the workers who had the courage to come forward and expose NBC Contractors’ wage theft and fraud.